Hello there. I'm back with some of my wellness purchases from beautyMNL. 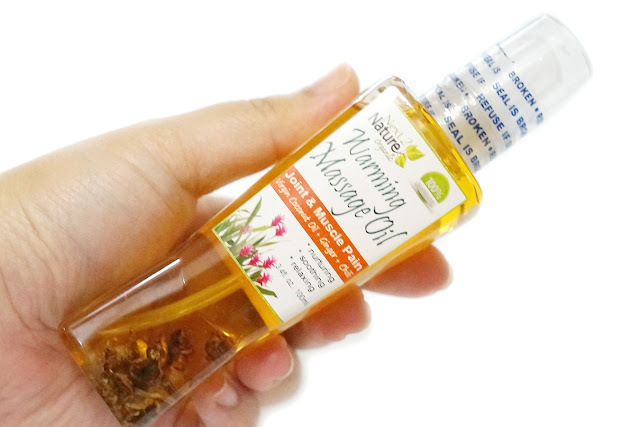 Today's feature is a massage oil from Next2Nature. 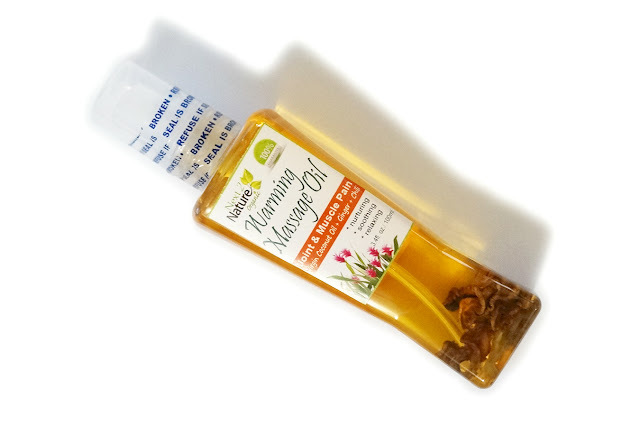 I have been a long time fan of oils, and particularly massage oils. They add much needed relation and pampering routine before I go to bed. This particular blend of massage contains ginger and chili to give my body warmth. 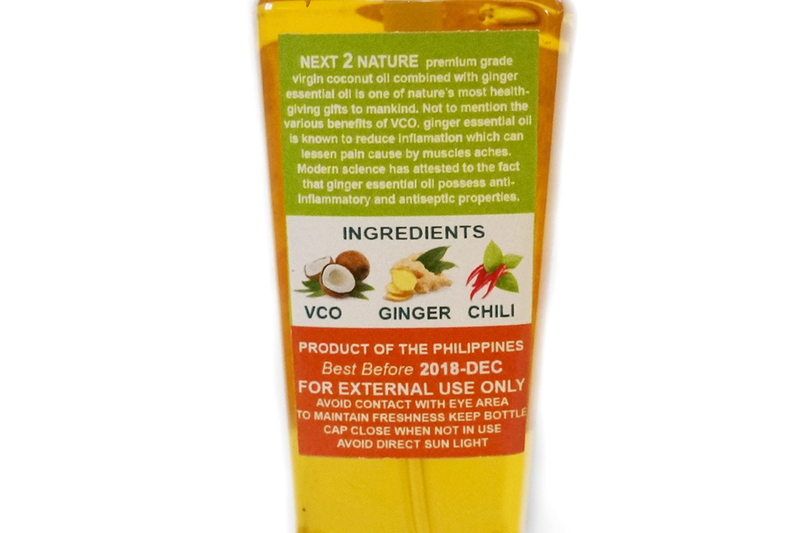 Next2Nature simply aims to provide premium-grade Virgin Coconut Oil (VCO) in its most natural and organic form. You’re guaranteed all the natural goodness that a coconut is known for in each and every one of the brand’s products. I like that the ingredients of this massage oil is all natural. 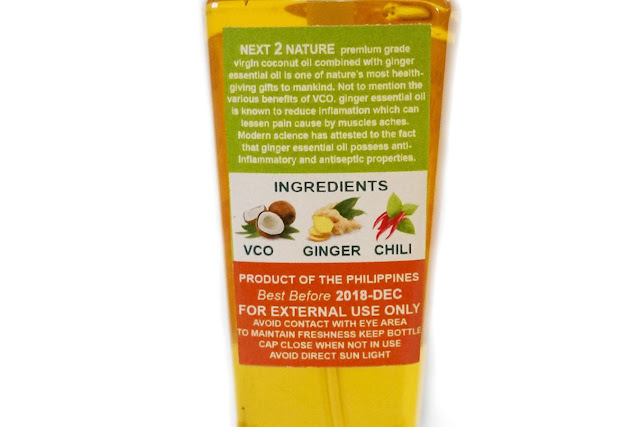 Basically, it's just virgin coconut oil, ginger oil, chili extract, and dried ginger. I mostly smell the ginger, but not in an overpowering way, so it's soothing and relaxing. I don't really feel the heat from the chili, but I'm okay with it since I don't like to feel too hot anyways. I also like that the oil is absorbed well and doesn't feel sticky. 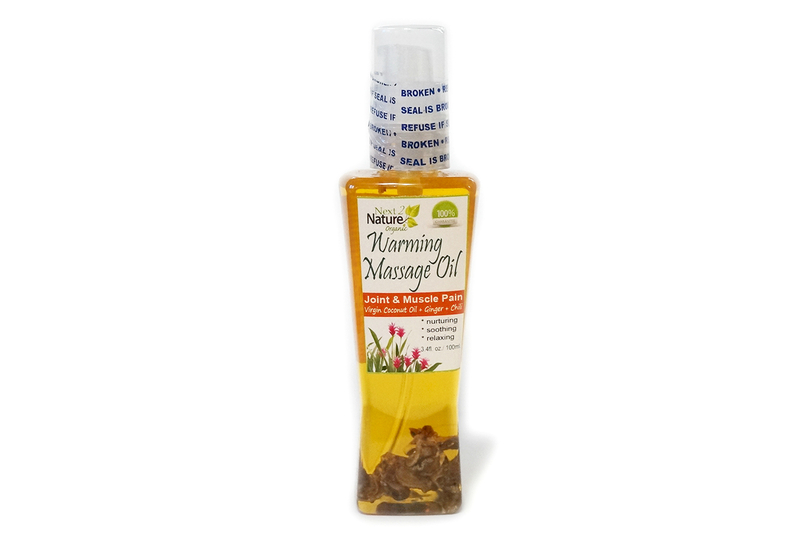 Overall, this is a good massage oil, especially during the colder months.